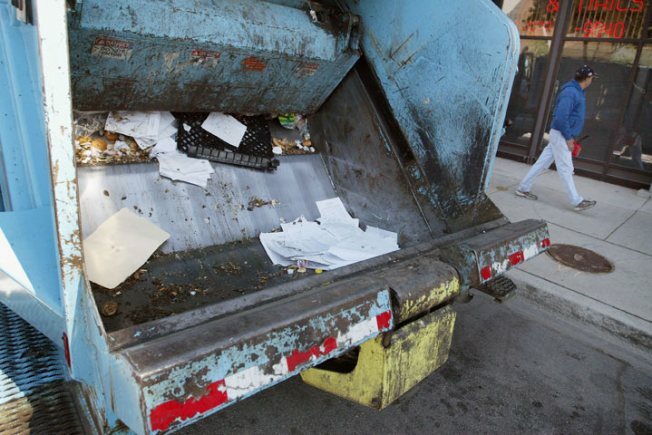 Chicago's mayor vows to fire city garbage collectors found to be slacking off on the job. Garbage workers in San Mateo County started a 48-hour strike today to protest stalled contract negotiations with Allied Waste Industries, a company spokeswoman said. Thirteen workers at the Ox Mountain Landfill near Half Moon Bay are participating in a two-day strike over negotiations that have stalled since their contract expired at the end of 2009, Allied Waste spokeswoman Peg Mulloy said. An additional 250 workers, mostly truck drivers and garbage collectors based at the company's San Carlos facility, have decided to walk off the job in solidarity with their 13 colleagues. Allied Waste officials were told about the landfill walkout by union officials before it occurred, allowing enough time to hire replacement workers for today and Thursday, Mulloy said. However, the walkout by the San Carlos employees was unexpected, she said. "It's disappointing that the union would do something to negatively impact our customers," Mulloy said. The workers are members of the Teamsters Local 350 union. Some commercial customers will be serviced during the walkout, but residential customers will experience delays, she said.